Scooper - Technology News: There’s never been a better time to be alive. So why the globalization backlash? There’s never been a better time to be alive. So why the globalization backlash? In aggregate terms, the human race has never had it so good. Life expectancy has risen by more in the past 50 years than in the previous 1,000. 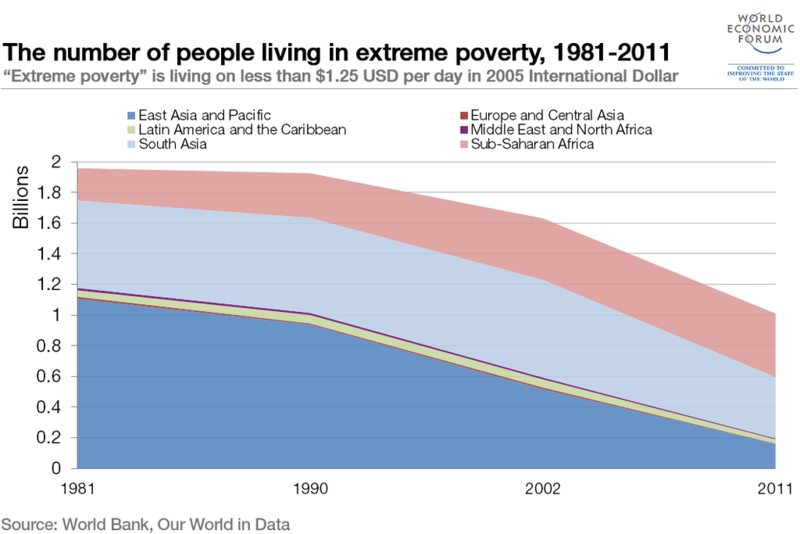 When the Berlin Wall fell, two-fifths of humanity lived in extreme poverty. Now it’s one-eighth. Global illiteracy has dropped from one-half to one-sixth in the same span of time. With a few tragic exceptions, a child born almost anywhere today can expect to grow up healthier, wealthier and smarter than at any other time in history. And more connected, thanks principally to the end of the Cold War, fresh waves of democratization, China’s emergence from autarky, and the advent of the internet. The political map of the world has been redrawn. 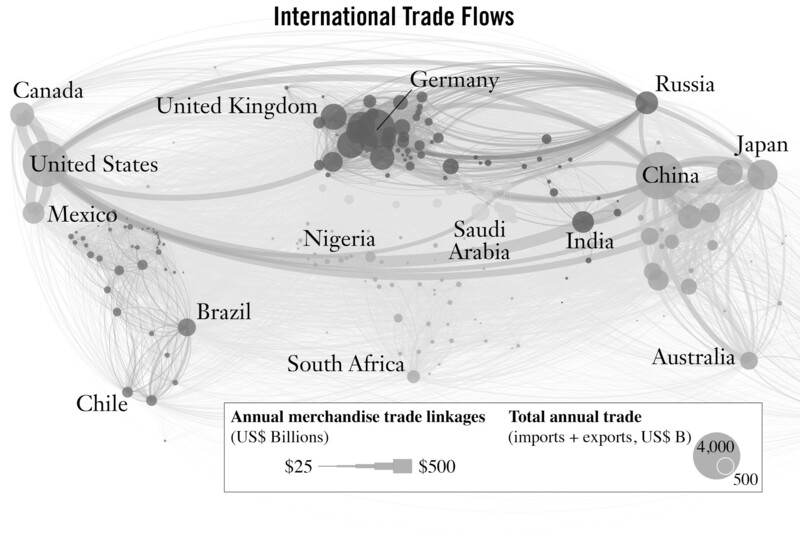 Market economics has circumnavigated the globe. At the same time, we have rarely felt so divided. While walls between countries are coming down, within countries they are going up everywhere. Statistical proof of overall well-being is cold comfort to a middle class whose real wages have stagnated, or to poor people in the US and other so-called “rich” countries whose poverty has deepened. The bottom-fifth of Americans were earning more money 25 years ago. They also had a greater chance of moving up the economic ladder, the lower rungs of which have now been sawed off. And we have rarely felt so vulnerable. As populations, capital and production systems have shifted – massively and rapidly – we as individuals have become ensnared in a transnational tangle of choices and burdens, enablers and obstacles, interdependencies and conflicts. Pensioners and home-owners have seen their savings decimated by unforeseen financial risks. Workers have lost their jobs to overseas strangers escaping from poverty; those whose jobs stayed onshore are losing them to machines. Farmers suffer crop failure due to climate change. Citizens rage against elites who siphon off urgently needed public monies into foreign bank accounts. Other people’s everyday choices on the other side of the world – about what energy they use, what products they consume, what medicines they take or how they secure their data – threaten us unintentionally. Equally, our choices impact them. In an increasingly open world, we’ve begun to blame more and more of our frustrations on each other. Europe’s “age of discovery” in the 15th and 16th centuries was likewise a time of historic connections and divisions, of singular achievements and shocking new dangers, of bold genius and violent rejection. Columbus’s ships found the New World – and spread conflicts and pandemics in their wake. Vasco da Gama found a sea route to the spice riches of the Indian Ocean – and caused the collapse of Silk Road economies that had flourished for centuries. The Gutenberg press shifted human communication to a new normal: information abundance, cheap distribution, radical variety and wide participation. But it also put scribes out of business and enabled a single disillusioned friar (Martin Luther) to ignite a century of religious wars. Copernicus flipped Europe’s very notion of heaven and earth with his new sun-centered theory; when Galileo pushed it, he was excommunicated. Through three decades of feverish connecting, integrating and tangling together – from the fall of the Berlin Wall to the rise of social media – we have built a precious but, history tells us, fragile new world. In so many ways, we are starting to flourish. But equally, we are starting to fray. An age of discovery, then and now, is a time of upheaval. And upheaval makes both winners and losers. But it does not make us powerless. This extraordinary age of discovery is not simply the condition of our lives, but the contest as well. In the 1990s, many people bought into a simplistic fantasy that the benefits of greater openness and connectedness – of “globalization” – would trickle down to everyone equally. Today we've replaced such naïveté with a sober realization: when some walls are flattened, the world's precious resources pool into those places and into those hands that hold an advantage along whatever dimensions of difference remain. Popular usage of the term “globalization” has plummeted. We've outgrown the fantasy. That's a healthy step. Now the question is: will we abandon the dream? One option is to seek to smash the global agreements, protocols, supply chains and exchanges we have built with one another, and in their place build new, higher walls. From the surging popularity of Donald Trump, to Britain’s shockingly close vote on Brexit, to the electoral successes of nationalist, protectionist and xenophobic politicians in democracies worldwide, this project is well under way. Or we can seek to make our entanglement work. For ourselves. For poor people and poor countries. For the planet. The great service that Donald Trump, Brexit and similar campaigns in Germany, France, Greece, Brazil, Austria, the Philippines and other countries have performed is to shock us all into remembering that our new openness and connectedness cannot be taken for granted. Globalization was never merely a trend; it is also a test of the human character. In an age of discovery, change is rapid. How change unfolds depends on us. Will we allow the weight of unearned gains and undeserved losses to break society, or will we shape outcomes to deliver on the promise that opening and connecting with one another is in all our best interests? Not least because we need to work together to solve climate change, transnational crime and corruption, migration crises and other great global challenges. Anxiety in a time of rapid change is understandable. Pessimism is in vogue. Anger and despair are infectious. Middle-class wage stagnation is real, and the list of fixes is difficult. But courage is infectious, too. The present age is a contest. We’re all being drawn into it, more and more. Some are harnessing a prevalent pessimism to seize power for themselves, to tear apart the open society we've built and shorten our reach so that we do not exceed our grasp. Who will dare to stoke our optimism? To accept responsibility, to start fixing the mistakes we've made, and with bold actions remind us all that, while we may be more vulnerable, our collective potential has never been greater? This post draws on a new book, A ge of Discovery: Navigating the Risks and Rewards of Our New Renaissance , by Ian Goldin and Chris Kutarna . Published in North America by St Martin's Press and in the rest of the world by Bloomsbury. This article is part of our globalization series. You can read more here .